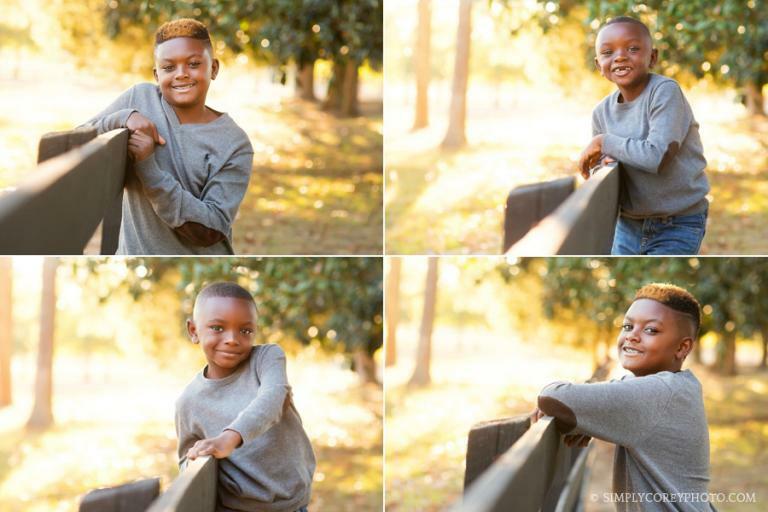 I traveled up to Rome, GA to photograph this beautiful mom and her boys last fall. We had so much exploring a little part of Berry College together. It is such a gorgeous campus! You wouldn’t be able to guess this by looking at the photos, but the younger brother was adamant about not smiling during his session. He even called me a cheater when I was able to make him smile! Ha! His serious face was just as handsome as his toothless grin though! Both boys were such naturals in front of the camera and were so great together! This next photo is definitely one of my favorite family portraits. I love the sunburst flare and the youngest looking up at Mom with a big grin. Perfection!